“Fixer Upper” Comes to the Huddle Room: Enter to win a Free Huddle Room Makeover! You’ve seen the show where Chip and Joanna Gaines travel around Texas offering home makeovers to lucky families who benefit from their vision, skill, and partnerships as they completely transform family homes. It’s a pretty cool concept. Well, we’re here to let you know that makeovers aren’t just for outdated homes anymore. They are now coming to the enterprise Huddle Room. As the company focused on making the enterprise Huddle Room experience more efficient, productive and simpler than ever before, ZiipRoom is leading a Huddle Room Makeover contest where a few lucky winners will benefit from the latest advancements that allow companies to finally realize the power of the Huddle Room as the collaboration engine it was always intended to be. 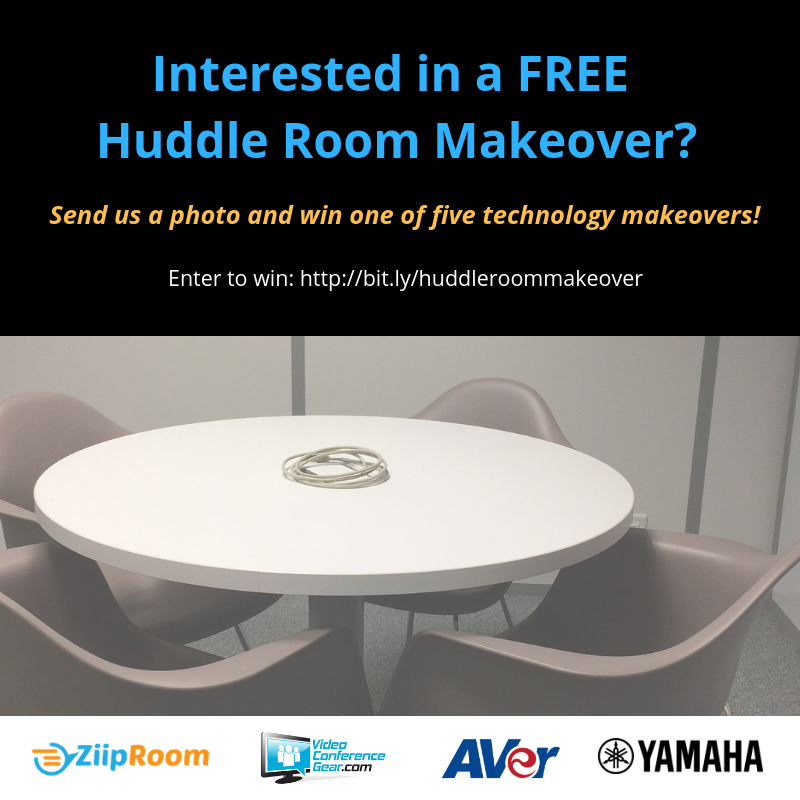 Together with our partners AVer, VideoConferenceGear and Yamaha, ZiipRoom is excited to announce the Huddle Room Makeover contest. We will select five companies to receive everything required to transform their existing “huddle room in need” into a state-of-the-art collaboration hotspot! You’re the ideal candidate to win one of FIVE Free Huddle Room Makeovers! Register now to enjoy one-click connections to all your scheduled voice and video meetings – regardless of the multiple platforms you use (including VoIP, GoToMeeting, Skype for Business, WebEx, Zoom, etc.) – as well as wireless presentations direct from your BYO devices. We are collecting registrants from October 4th through October 31st. All you need to do is share a photo of your existing huddle room and tell us how your team would benefit from a Huddle Room Makeover. Register now for your opportunity to win!